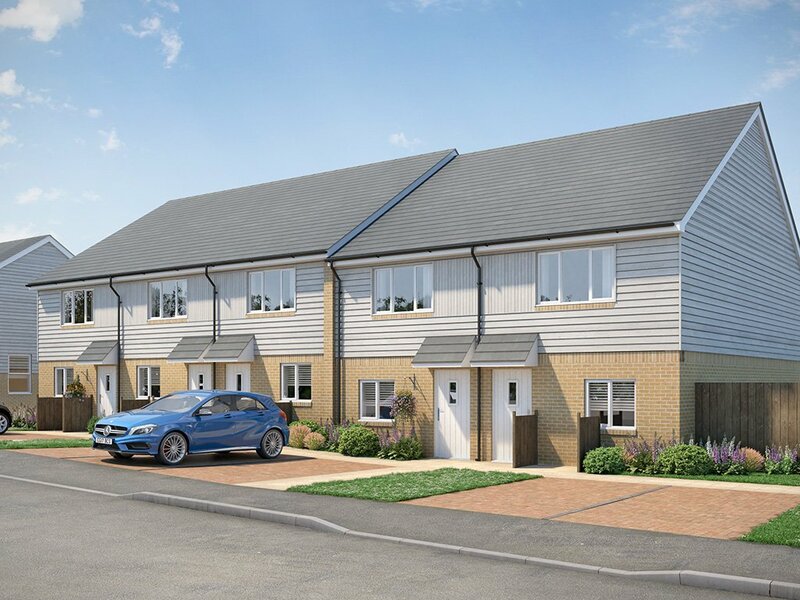 Moat is pleased to release details of these 19 x three bedroom houses located in Sittingbourne, Kent for shared ownership. The established community setting provides excellent schools and quick access to the motorway and mainline train station. Fully fitted Howdens Clerkenwell range kitchen in matte cashmere with grey mirror chip quartz worktop. Integrated kitchen appliances, including stainless steel oven, gas hob and extractor hood, glass splashback, fridge freezer and washing machine. Fully fitted bathroom with thermostatic shower, glass screen and chrome heated towel rail. Textured floor tiles to kitchen. Vinyl flooring to bathroom and WC. Carpet to all remaining areas. These properties are now available to reserve off plan and will be ready to move into from April 2019. In line with government priorities, top priority for these homes is awarded to serving military personnel and former members of the British Armed Forces discharged in the last two years. Priority will be given to people who live and/or work in Swale.